Team MoTIS is one of the first E-manufacturing design and development groups in cyberspace that exists to execute a mass productive neo concept design and development mission using virtual prototyping and visualization techniques within various simulation modeling programs to display our brand of innovative neo concept designs. We exist to channel our stated original neo concept virtual technologies into the world of flight simulation across multiple simulation platforms. After full online testing and aircraft workups we then release several of these stated virtual technologies into the world of simulation via our freeware or payware release venues selectively. This being the case MoTIs is always an ongoing work in progress. " IN NO WAY OR FORM DOES MoTIS REPRESENT ITSELF AS A REAL WORLD AIRCRAFT MANUFACTURING COMPANY". We are a cyber based concept development group using flight simulation platforms for the virtual prototyping and visualization of our very own neo concept design!" All of our aircraft data is gathered using the XPLANE design suite and other third party aerodynamics software. Then our visual models are refined in MS flight simulator because of its visualization capabilities. From our very first introduction in the world of flight simulation in 2002 team MoTIS has strived to be different with respect to sharing our products with the world. We attempted to explain the purpose of our unique mission in detail from our inception but as our mission looks so similar to a standard design operation many have been confused. What we are doing is very different from the standard addon developers missions and this has caused some basic confusion, as traditional simmers have been use to quicker aircraft development and higher quality eye candy then what we have been showing in our initial basic prototype designs. We have actively approached an area of simulation that we chose to enter to execute the MoTIS mission, which on the most basic level is to share all the creative concept designs with the world of simulated , real world , experimental , and concept aviation via Microsoft simulated expression. As MoTIS has strived to make it ultra clear that we are more then a freeware release group and more then just a payware group with a quick fix release mission, many have sadly misunderstood the scope of our mission and have indirectly tried to get us to follow the same path of freeware designers and have mistakenly or purposely tried to degrade our mission by comparing it to a standard freeware/payware designing mission. Our primary goals have been in keeping with our primary development mission , which is to design only concept aircraft, to preview aircraft in real time development previews, and finally release well tested and developed simulated aircraft for public consumption irrespective of standard development times. To a standard Fs flyer that would seem to make no since as design for then have a limited product lifecycle as other freeware and payware developers keep upping the design standard tending to make earlier work reduced to lower value as progress keeps building in the world of simulation as a whole. At MoTIS we have designed extreme numbers neo concept aircraft that have been translated into first prototype designs and test flown under a real time test flight division. At MoTIS we are truly focused on "design and development". MoTIS has established itself as a leader in virtual concept aviation not to step on the feet of other providers in any development genre. Our announcements of historical first as neo concept payware providers of our neo concept designs has been of a matter of flight sim historical fact. Nor do we care to engage in any negative or competitive conversations with any designers or the public in general in any way as we humbly ask for you to serve your public anyway that you chose as MoTIS is not executing its mission to compete with any designer at all. While we use simulations to test and prove certain neo concept ideas and we in no way are just a MSFS/ XPLANE flight simulations function. We are using simulations in a long standing capacity to test theoretical or concept ideas for MoTIS copyright and patent uses exclusively. Please understand that the MoTIS neo concept development mission is not conducted for the exclusive goal of selling flight simulated aircraft. 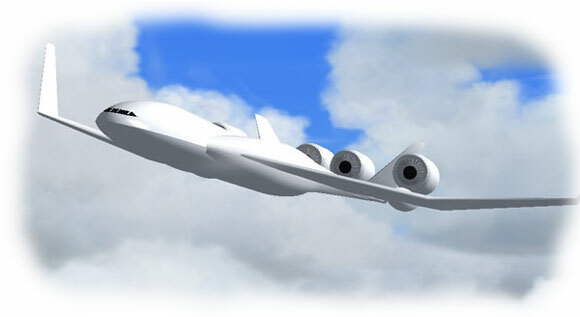 We are involved in simulation for the science of the design of never before seen neo concept aircraft. We are ultimately using the flight simulated environment to channel our unique concept designs for copyright, patenting, and testing purposes. MSFS gives us great visualization potential while XPLANE allows us to collect real time data. This is one of the very reasons that numerous MoTIS concept designs are not for sell as once sales of a concept has been started before patenting then all legal patenting would then be impossible! So we let you enjoy the virtual development of numerous designs and only release the ones that are not being considered for patent into the general community for sales and such. "We are not attempting to emulate the standard third party addon development mission in the world of flight simulation exclusively." If you are not interested in this kind of mission as related to concept development through real time product distribution and concept design we wish you success as there are great groups out there that offer standard forms of simulating or third party purchasing. If how ever you are an experimental, concept, prototype development, or extreme aircraft enthusiast then MoTIS is the place for you! Continue to experience what we have to offer as we display a brand of virtual aviation that mixes real world development and virtual technologies into to one integrated platform! Note: All of these concept aircraft are from the design staff of the MoTIS CAD engineering board and our CEO. We do not copy others work or design real world concept aircraft at all. Each of our aircraft are from our heads and are the sole intellectual property of MoTIS and we can prove it. We take great pride in all of our true concept designs and do not create real world aircraft, model aircraft variants or concepts, or other designers concept work at all ,but stand by our mission statement in truly creating "OUR OWN DESIGNS" All the photos ,logos ,Trademarks, and designs are the sole property of the MoTIS Industries. We (MoTIS VJD) are a full fledge third party FS business and not a VA in structure or function. While we use simulations to test and prove certain neo concept ideas we in no way are just a MSFS/ XPLANE flight simulations function but exist beyond the world of simulations as an applications division using simulations to test theoretical or concept ideas for MoTIS copyright and potential patent uses. " IN NO WAY OR FORM DOES MoTIS REPRESENT ITSELF AS A REAL WORLD AIRCRAFT MANUFACTURING COMPANY". We are a cyber based concept development group using flight simulation platforms for the virtual prototyping and visualization of our very own neo concept design!" © MoTIS 2002-2009 by MoTIS INDUSTRIES. All rights reserved.